Production during the quarter also fell by 7% to 924,228 carats (Q3 FY 2018: 992,315 carats), the Company said, reflecting increased production at its Cullinan, Koffiefontein and Williamson mines, offset by lower production at Finsch. The company said that rough diamond prices achieved during the two tenders in Q3 were up ca. 1% on a like-for-like basis compared to prices achieved in H1 FY 2019. For the 9M period ended 31 March 2019, gross revenue was up 1% to US$ 342.4 million (9M FY 2018: US$ 337.4 million) while sales rose 6% to 2.80 million carats (9M FY 2018: 2.64 mn cts). Higher production was also achieved during the first nine months of the fiscal with output rising 4% to 2.94 million carats (9M FY 2018: 2.84 mn cts). 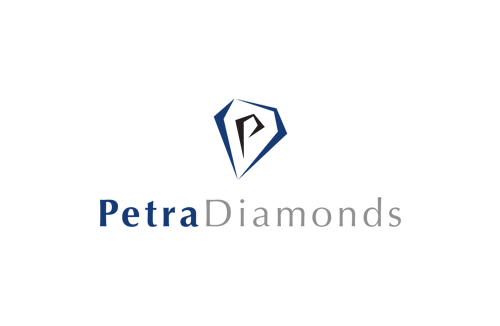 Petra said that it was maintaining production guidance for the full year at the earlier announced 3.8 – 4.0 million carats. Reporting that the installation of the remaining draw points across the footprint of the C-Cut Phase 1 block cave at Cullinan is progressing as planned, the Company said that completion is expected during H1 FY 2020. As a result of this progress, the incidence of larger stones is improving as demonstrated by the recovery of two +100 carats gem-quality stones during the quarter, Petra noted. Adding that it had recovered a 425.1 carat D colour Type II gem quality diamond at Cullinan on 29 March 2019, the Company said that as previously announced, the stone is expected to be sold during Q4 FY 2019. Net debt came down to ca. US$ 553.1 million, (31 December 2018: US$ 559.3 million), excluding US$ 46.4 million relating to diamond debtors as at 31 March 2019 received shortly after Period end (31 December 2018: US$ 4.4 million). He added that he was pleased with the incremental improvement in operational performance at Cullinan, Koffiefontein and Williamson and noted that despite a challenging January, Finsch’s performance through February and March was as expected. “Our focus remains on the delivery of free cash flow to reduce our net debt and generate future options for the Company,” he stated.